Everyone does trivia. The question alone won’t cut through unless it has a frame with an edge. As you look at TV game shows, they’re all trivia-based, but each is presented differently (Jeopardy is much different from Who Wants to Be a Millionaire). The frame and presentation lends a stickiness that draws listeners in even deeper. 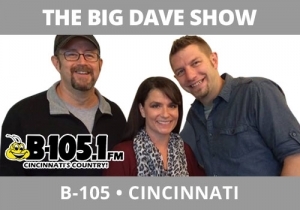 The Big Dave Show, B105, Cincinnati, does Chelsie’s “Not As Naughty as It Sounds” trivia question as a benchmark each morning at 8:40. It’s a standard question, but because of the frame, they force the listener to actually think of something dirty because they told the audience it isn’t. Once presented, her two male co-hosts, Dave and Statt, offer up the most obvious answers to take them off the table, then they open the phones. Here’s a twist I love: they come back for only one set of phone calls. If someone gets it, they get the prize. If no one gets it, they give the answer so the audience that gave them a few extra minutes of listening gets resolution (there is no dragging this out over thirty minutes). Kinda smart.